The staff at BruinsDaily.com provides news and analysis of the hometown hockey team. After claiming he wouldn�t be ready until the second round,�if the Wings got there�it looks like Red Wings Captain Henrik Zetterberg will be back in action Thursday night. Zetterberg took the ice for Detroit�s morning skate, lining up with Pavel Datsyuk and Justin Abdelkader. Zetterberg hasn�t played in a game since February 12, where Team Sweden defeated the Czech Republic in the Winter Olympic Games. If Zetterberg is cleared by doctors, head coach Mike Babcock says Zetterberg is in. The Bruins lineup will be the same as it was in Game 3. Defenseman Dennis Seidenberg skated laps around �The Joe� this morning, but the veteran blue-liner is not expected back anytime soon. Jarome Iginla�s 30 goals tied Patrice Bergeron for the team lead during the regular season, through three playoff games with the Red Wings; Iginla has failed to find the back of the net. Luckily for the Bruins, they�ve been carried by secondary scoring en route to a 2-1 series lead, but the Bruins will certainly need their top line to get them going. That starts with Iginla. With the Red Wings desperate to avoid an elimination game Saturday in Boston, the Wings will come out hungry in Game 4 and the Bruins will need to do everything they can to slow down a speedy Red Wings squad. A big night from Iginla and the Bruins first line will do exactly that. 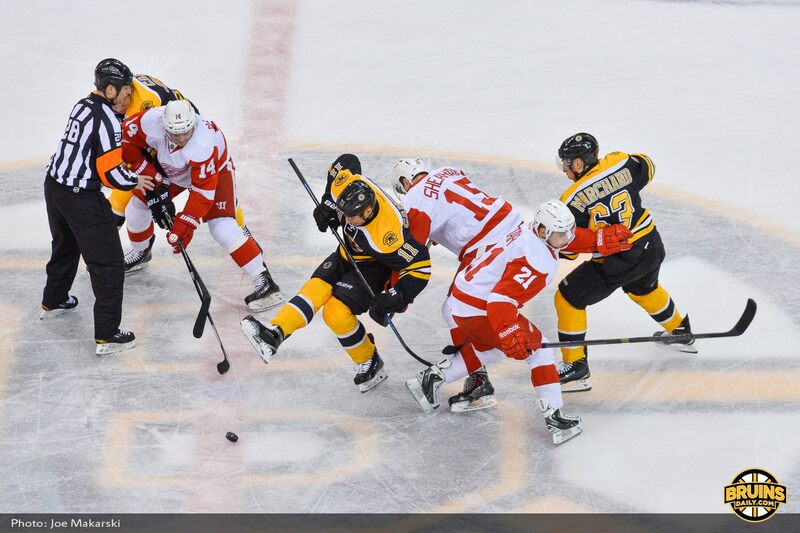 Coming into the series with the Bruins, many eyes were focused on Jimmy Howard. People wondered how he would produce against a Bruins team who can score at will. Through three games, Howard has been solid, but not solid enough, allowing seven goals in two games since shutting the Bruins out in Game 1. The Wings may get a big energy boost tonight with the potential return of Zetterberg. Howard and the Wings will need to use that energy to get themselves going. After two tough games for Howard, look for him to be on point tonight.